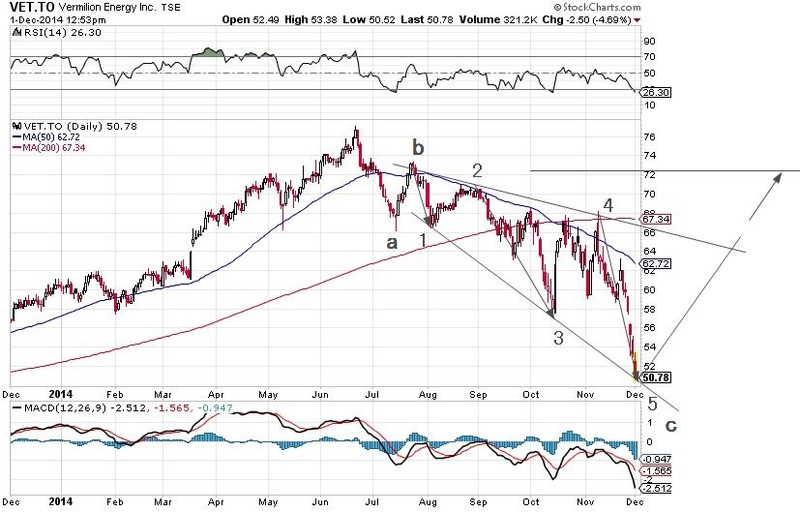 This chart potentially displays a complete a-b-c correction starting at the peak of $77 or so. The c-leg is an expanding diagonal triangle which is a pattern that normally reverses itself violently, most often to the point where it started, in this case $72. That sounds like a little too much but that is why this is EW, don’t think, just observe. And that is what we will do in the next few weeks.